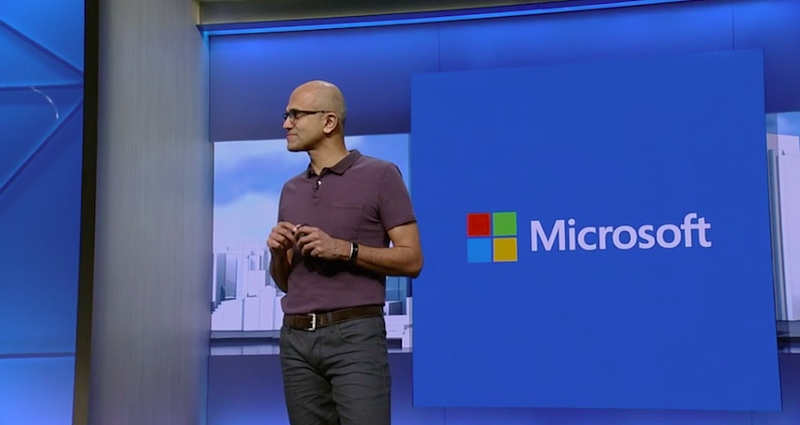 During this morning’s Build 2016 Keynote, CEO Satya Nadella laid out his vision for what Microsoft’s future might look like, and artificial intelligence is the name of the game. Nadella broadly referred to the company’s AI plans as “conversations as a platform.” The crown jewel is a new tool called Microsoft Bot Framework, which will allow developers to integrate various intelligent conversation bots into their apps. The company has created half a dozen tools to help coders create bots, which—if all goes according to plan—will change the way we all interact with websites and apps. In Microsoft’s view, the future of computing has three primary arms: people, digital assistants, and bots. If this vision comes to fruition, artificially intelligent bots will become our primary way of interacting with apps on all devices. “You shouldn’t be looking for new applications. You should be able to call on any application as a bot, right within a conversational window,” Nadella said. The keynote included a few specific examples of tools for incorporating conversation into apps, like the Skype Bot SDK and the Cortana Intelligence Suite. 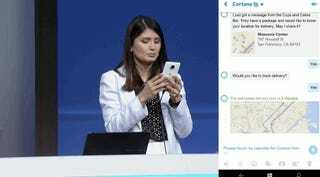 In the Skype demonstration Microsoft’s automated personal assistant Cortana helped bridge the gap between the user and the app. Ideally, the bot will encourage conversation—but a different kind of conversation than what most of us are probably used to. The conversations will include voice recognition, images, animations, and more. Despite the bumps, Microsoft is banking on “conversations as a platform” to catapult it back into the minds and hearts of both consumers and developers. The framework is here, and developers can start tinkering with it and putting bots into their own apps.